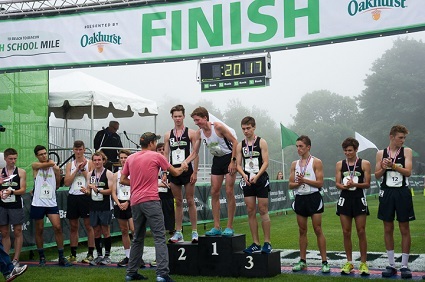 CAPE ELIZABETH, Maine (May 30, 2018) – Applications are now being taken for the B2B High School Mile, a marquee event for top young runners from across Maine who want to compete against their peers on Aug. 3 in Cape Elizabeth. 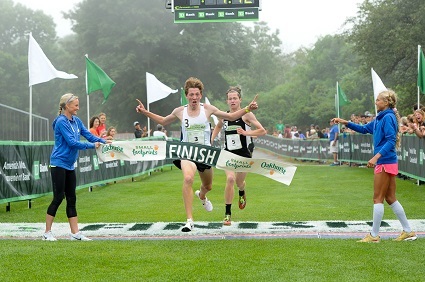 The top 20 boys and girls, based on their qualifying times, will be invited from the pool of applicants to toe the line on Friday afternoon in Fort Williams, which will kick off race weekend for the 21st running of the TD Beach to Beacon 10K the next morning (Aug. 4). 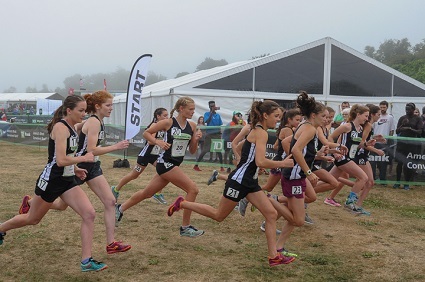 TheB2B High School Mile is a two-loop course beginning near the Portland Head Light and ending across the official TD Beach to Beacon finish line in Fort Williams. 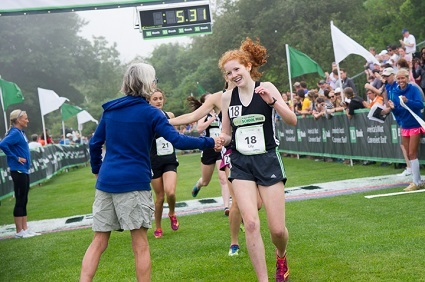 Now in its third year, the festive event features complimentary Nike uniforms for every participant, runner introductions and pageantry, a cheering throng of spectators and a chance for the young athletes to interact with some of the world’s elite distance runners who volunteer at the event. The 2017 winners were Lily Horne of Freeport High School and Sam Russ of Lincoln Academy. The event is open to all Maine high school runners entering their senior, junior or sophomore years who met the following qualifying standard during the 2017-18 school year: for boys, 5:00 (or sub 17:30 for the 5K), and girls, 6:15 (or sub 20:30 for the 5K). 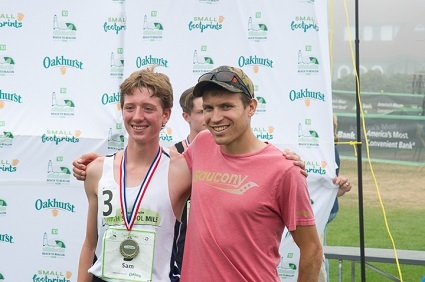 Interested and eligible athletes may visit http://www.beach2beacon.org/race-info/high-school-mile/ for more info and to apply for entry. The application deadline is July 1. Runners can use their cross country, indoor or outdoor track times – and if they improve their time between now and the application deadline, they can submit an updated time. Forty athletes from the pool of applicants will then be invited to participate based on verification of the times they submit. Runners will be seeded and may compete in heats. Uniforms for all participating athletes are provided by Nike. Each race will be scored and timed using the FinishLynx timing system. Renowned race announcer Toni Reavis, known as “The Voice of Running in America”, will introduce the athletes and call each race. 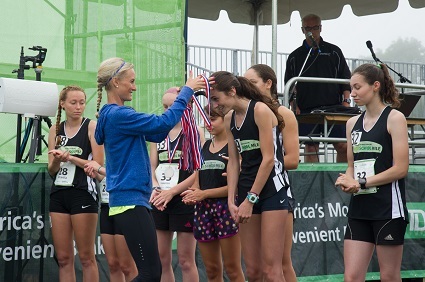 At last year’s B2B High School Mile, celebrated world-class athletes Shalane Flanagan, Jordan Hasay and Ben True joined Joan Benoit Samuelson in greeting and inspiring runners, holding the break tape and awarding medals during the post-race ceremony. For additional information, high school athletes and track coaches are asked to contact B2B High School Mile Coordinator Morgan Lake Adams at mlakeadams@gmail.com. The TD Beach to Beacon celebrates health, fitness and giving back. In 2017, a record 6,887 runners from 18 countries, 43 states and more than 270 Maine cities and towns finished the winding, rolling, often breathtaking 6.2-mile coastal course. Thousands of spectators cheered runners along the route and at the finish, and more than 800 volunteers helped ensure a smooth operation. The race debuted in 1998 with 2,408 runners crossing the finish line. Oakhurst is Northern New England’s leading dairy brand and has stood behind every glass of milk and product for 96 years. While the FDA states there is no significant difference between milk from cows treated with artificial growth hormone, Oakhurst made history in 2003 when it asked its milk producers to take America’s First Farmer’s pledge not to use artificial growth hormone. Today, Oakhurst remains committed to the wellbeing of its community by contributing to local organizations that support healthy active kids and a healthy environment. The company produces milk and other dairy and juice products from its headquarters on Forest Avenue in Portland, Maine. In January 2014, Oakhurst became a wholly-owned subsidiary of Dairy Farmers of America, a dairy farmer-owned cooperative based in Kansas City, Missouri. For more information, visit www.oakhurstdairy.com . The TD Beach to Beacon each year attracts a top field of world-class athletes. More than $90,000 in prize money is awarded to the top finishers and place winners in the various categories for men and women.